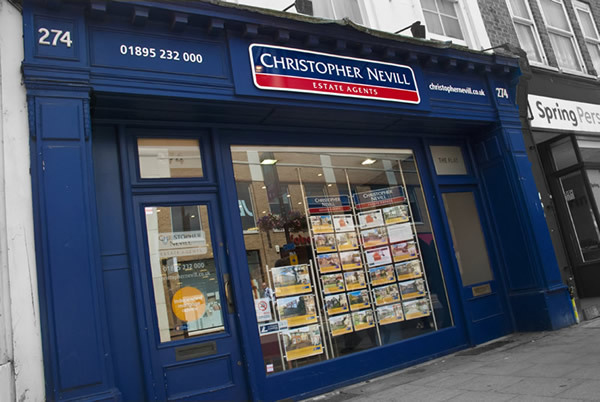 At Christopher Nevill we put you, the customer, at the heart of everything we do. From the very first point of contact, right through to a successfully completed transaction, you can be assured of a professional and personal service that will look to help you achieve your objectives in the timescales you require. With a successful track record of over twenty one years as sales and letting agents in Uxbridge, we know both the location and the market well and our team, which has over one hundred years of collective agency experience, are here to help you seven days a week and at times convenient to you. We are your local agent and have been successfully selling and letting property in and around Uxbridge for over twenty one years. Our offices are open long hours, and our sales office is open seven days a week. Vendors and landlords can log onto our site and keep in touch 24 hours a day and amongst other things keep track of how many people have viewed their property and the feedback from those viewings. Prime High Street office locations with extensive window displays.